We are looking for workers who are passionate about the importance of the library to the community as a whole! 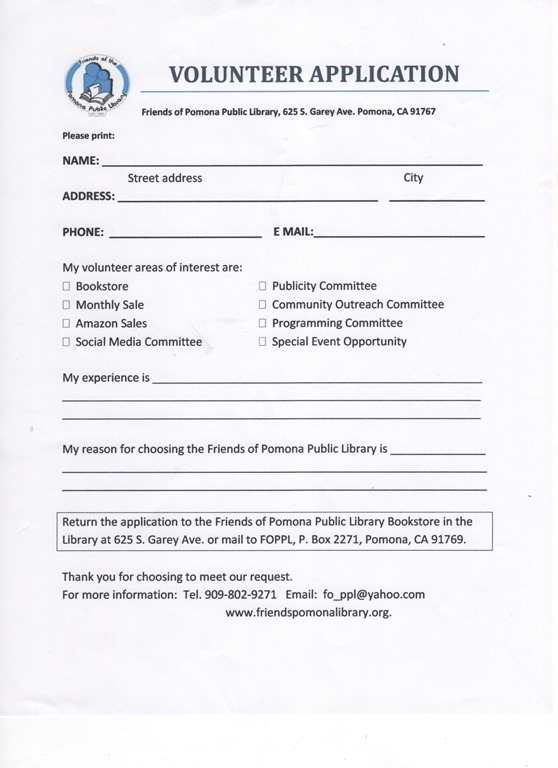 We are looking for people who have special skills to share or wish to learn special skills with us in pursuing our mission of Rescuing the Pomona Library. We have seven teams listed below with individual skill areas to choose from. You may choose the amount of time you have to volunteer and whether you wish to work at the Library or from your home. We will keep in touch with you by face to face meeting, email or phone. 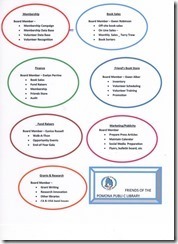 We encourage you to attend at least one meeting a year at the Library. 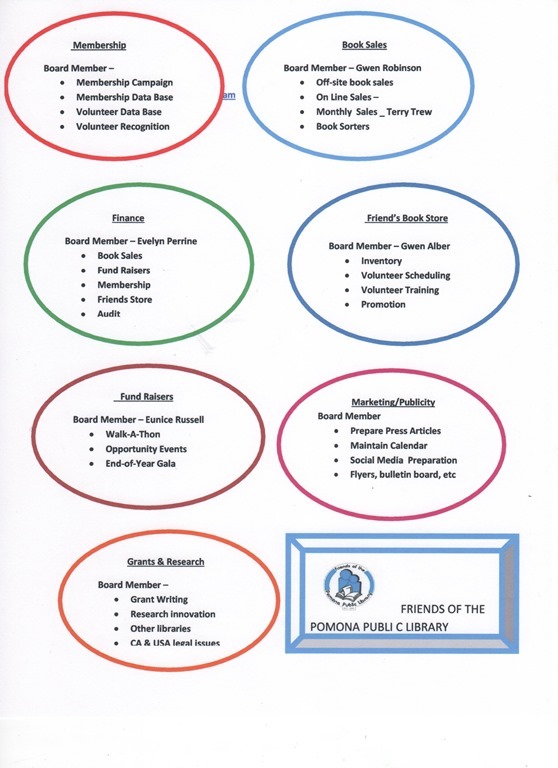 The eighth Friends Board is also a volunteer choice if you interested in a position; we need you! A Volunteer Application follows the Team Work page. 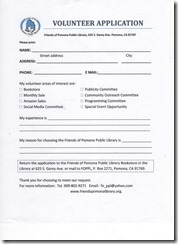 You may download the form, fill it out, and mail it to: Friends of the Pomona Public Library, P.O.Box 2271, Pomona, CA 91769 Attention: Volunteers. If you have questions phone 909-802-9271 or email fo_ppl@yahoo.com. 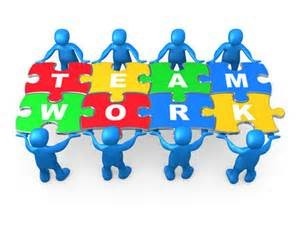 TEAM WORK You may work several tasks or only one. You may change tasks when requested. This entry was posted in Uncategorized by friendspomonalibrary. Bookmark the permalink.